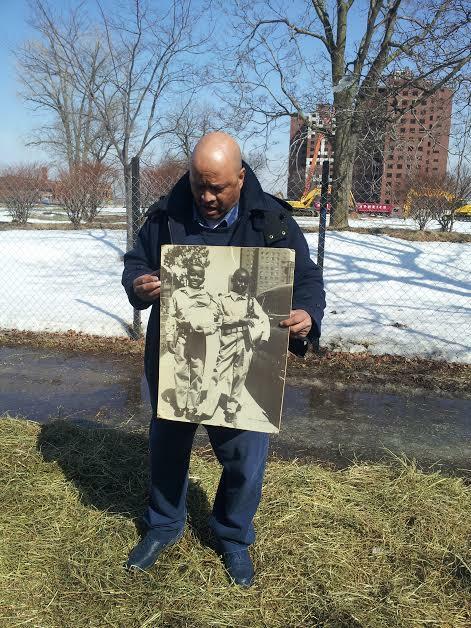 Detroit’s historic Brewster-Douglass housing projects will finally come all the way down sometime this spring. The final stage of the ongoing demolition effort at the 18.5 acre site started Monday. Officials say it will last for another two months, while land restoration will continue throughout the summer. In less than two weeks, Detroit will have a new mayor. Mike Duggan's term begins January first. Outgoing Mayor Dave Bing has been making his "farewell tour" around Detroit. What is the Bing legacy? And what might we expect from his successor? 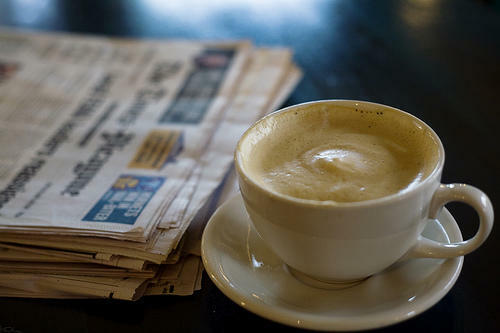 We turned to Detroit News business columnist Daniel Howes for some perspective. Bing talked about his accomplishments and challenges as mayor in a farewell speech to the Detroit Economic Club Wednesday. Detroit Fire Commissioner Donald Austin is resigning. Austin had to deal with declining city budgets and rising discontent among the city’s firefighters during his tenure as Detroit Fire Commissioner. He was hired by Mayor Dave Bing in 2011 to oversee Detroit’s overworked fire department. In announcing Austin’s resignation, the outgoing Detroit Mayor praised his leadership of the fire department. An interview with the Detroit News columnist Daniel Howes. Today, we’re checking in with Detroit News business columnist Daniel Howes, discussing what’s going on with the Detroit bankruptcy trial. How has the status quo failed? And what collateral damage would happen if Judge Steven Rhodes approves the Chapter 9 petition? Things didn’t go exactly as planned, but there was still a major celebration at Detroit’s Palmer Park Sunday. Hundreds of people showed up for the launch of a splash park there—but found conditions were drier than expected because of a broken water main. But, the city improvised. 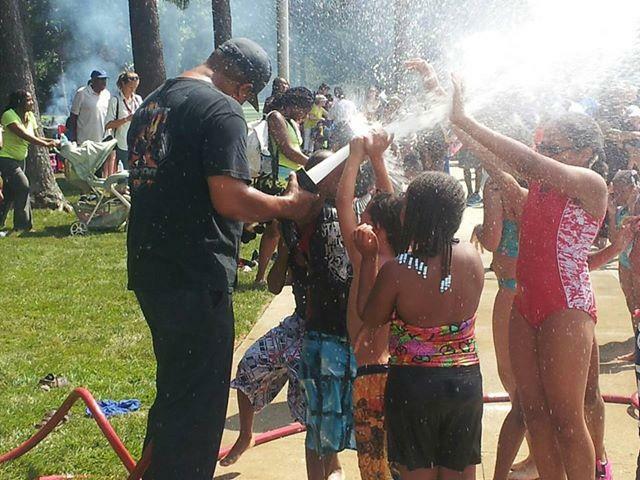 While workers tackled the problem, Detroit fire trucks came in to spray the kids, who didn’t seem to mind at all. Snyder, Detroit's emergency manager Kevyn Orr and Detroit Mayor Dave Bing appeared on Sunday morning talk shows yesterday to talk about filing bankruptcy for Detroit. Snyder said he will push to protect the retired city workers whose pensions are on the table. He said the bankruptcy filing included protections for retirees and urged them to remain calm. Orr said on "Fox News Sunday" that there are going to have to be "concessions." Bing on ABC's "This Week" said now that bankruptcy has been filed, leaders have to take a step back before making a decision on a federal bailout. The Flint School Board will take up a Deficit Elimination Plan tomorrow night. The district is wrestling with a nearly 16 million dollar deficit. The Flint school district has made deep budget cuts but more cuts are likely if the district follows the plan to eliminate its deficit by June 2016. The Flint School Board has until July 31st to send its deficit elimination plan to the state. The Lansing city council will be meeting tonight to discuss its sister city relationship with St. Petersburg, Russia. St. Petersburg recently passed an anti-gay ordinance and police there arrested people at an LGBT rally. Members say they want to send a message to St. Petersburg officials by canceling Lansing’s two decade sister cities relationship with the city. 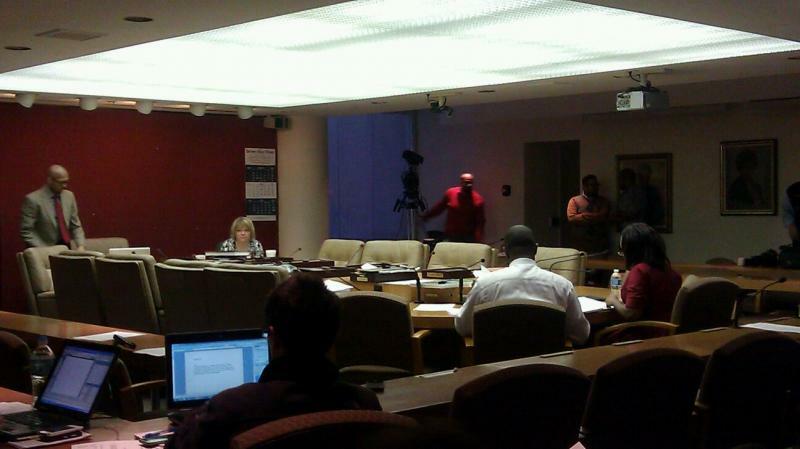 With an emergency manager in office, do city council budget proposals matter? Earlier this morning, Detroit’s city council voted unanimously to override Mayor Dave Bing’s veto of budget cuts proposed by the council. “The council wanted deeper cuts to Bing's staff and quicker implementation of a new health care cost-sharing formula. But with Emergency Manager Kevyn Orr at the helm of the city’s finances, how much does a united city council matter when it comes to Detroit’s budget? The Detroit City Council has approved a more than $1 billion budget for the city’s upcoming fiscal year. That budget is nearly the same as the one Mayor Dave Bing proposed last month. A bill is being debated in the Michigan house to reform Medicaid in the state. "The federal government is offering to pay for an expansion of Medicaid that would add hundreds of thousands of Michiganders to the program. But Republican leaders in the state Legislature say they're not willing to expand the system without major changes." 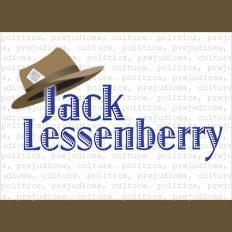 Michigan Radio's Jake Neher reports. The state of Michigan is projected to get nearly half a billion dollars more than expected in revenue. "The state’s economic measurements remain mixed. Michigan still has one of the nation’s highest jobless rates. But Governor Snyder says improving revenue is evidence of confidence in the state’s economy," Michigan Radio's Rick Pluta reports. The governor has suggested using the surplus to draw down federal transportation dollars, or cover a Medicaid shortfall. As of yesterday, Mayor Dave Bing will not be running for re-election, James Craig has been appointed Detroit Chief of Police, and more than half the incumbents on the Detroit City Council will not be seeking another term. The general elections will be held on November 5th. The Detroit News has more. 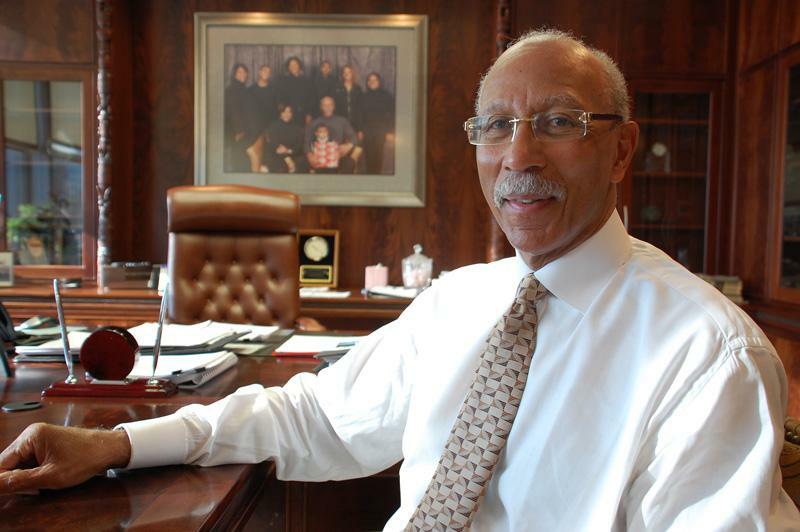 What's next for Detroit Mayor Dave Bing? Detroit Mayor Dave Bing announced this afternoon that he will not run for re-election. But before he made the announcement, he spent nearly 20 minutes outlining his previous successes. He concluded his speech with the mention of exploring "other options, including the office of Wayne County Exec." Michigan Radio's Cynthia Canty spoke with Nancy Kaffer, an editorial writer for the Detroit Free Press. To hear Kaffer's thoughts, click the link above. Stateside for Tuesday, May 14, 2013. Detroit Mayor Dave Bing announced he will not run for re-election. What does this means for the city moving forward while currently under emergency management? And we took a look at what's behind Michigan's high infant mortality rate. And author, theologian, preacher, and social activist Jim Wallis joined us to talk about his book and The Common Good for America. But first in the show, we got an update on the Palisades Nuclear Power Plant, where crews are trying to figure out what caused the release of slightly radioactive water. The plant was shut down a little over a week ago because of the leak, and crews say they have discovered a new crack in a water tank that has been leaking on and off for at least two years. Michigan Radio reporter Lindsey Smith discussed the issue with us. 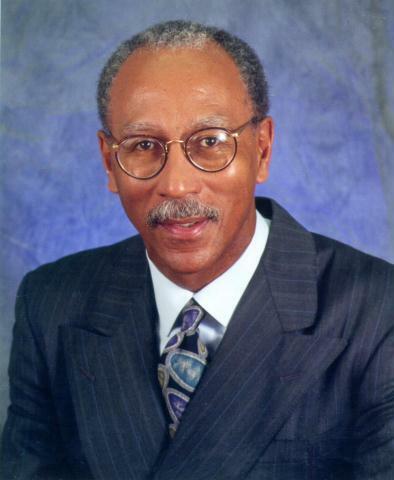 Detroit Mayor Dave Bing will not seek re-election. Bing made that announcement after months of indecision. He frustrated reporters weeks ago when he pulled petitions for re-election, only to say he hadn't committed to running. Then he called a press conference, and handed out pamphlets highlighting his successes in office. Then he spoke for nearly 20 minutes about his achievements before announcing "that I have decided not to seek another term as mayor Detroit." Bing said his political career might not be over. DETROIT (AP) - Dave Bing has scheduled an announcement on his political future Tuesday, the deadline to file for a second 4-year term as Detroit's mayor. Four p.m. Tuesday is the filing deadline. Bing spokesman Bob Warfield said in an email Monday night that Bing would "make a major announcement about his political future" at noon Tuesday at the Charles H. Wright Museum of African American History. There could be a solution for the students in Saginaw County’s Buena Vista district to finish out the school year. A plan to use federal funds to run voluntary “skills camps” that focus on reading, math, and writing will be presented this evening to the local school board. "The Buena Vista superintendent says it’s a creative solution that would allow students to finish out the school year," Michigan Radio's Rick Pluta reports. 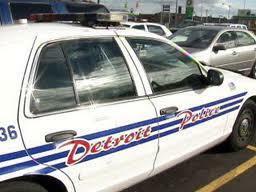 On Saturday Hussain al Khawahir was taken into custody at the Detroit Metro Airport. He tried to enter the US from Saudi Arabia with an altered passport, and lied to security officers about why he was carrying a pressure cooker. Al Khawahir will have a bond hearing this afternoon, reports Michigan Radio's Kate Wells. Detroit Mayor Dave Bing has scheduled an announcement for today at noon. Bing's spokesman Bob Warfield said that Bing would "make a major announcement about his political future." Today is the deadline to file for a second 4-year term as mayor, the Associated Press reports. Commentary: Will Mayor Bing run again? I was mildly startled last week to learn that Detroit Mayor Dave Bing had picked up petitions he’ll need if he files to run as a candidate for another four-year term as mayor. Now this doesn’t mean he is going to run. He has to decide, one way or another, by May 14, two weeks from today. For months, I had assumed the mayor was not going to run. He’s had a battered and bruising four years. Thanks to Detroit’s crazy system, he had to win four elections in nine months four years ago. A state Representative says newly released documents are raising some serious flags about the state’s Education Achievement Authority. On today’s show: we talk with Representative Ellen Cogen Lipton about what she found out about the EAA through a FOIA request. We check in withe Detroit News columnist Daniel Howes about recent Ford earnings reports. And Mayor Dave Bing has announced he'll run for reelection. We also talk about the changes to arts education in Lansing public schools. Later in the show, we speak with Art Prize founder Rick DeVos about another venture of his: Start Garden. And finally, Ann Arbor is on the verge of a championship - a bowling championship. We hear more about tonight's game from WWII vet Mel Shannon. DETROIT (AP) - Detroit Mayor Dave Bing has taken a step toward seeking a second four-year term leading the city that now operates under a state financial manager. Bing picked up petitions Thursday afternoon at the city clerk's office for a spot on the August primary ballot. The top two vote-getters advance to November's general election. 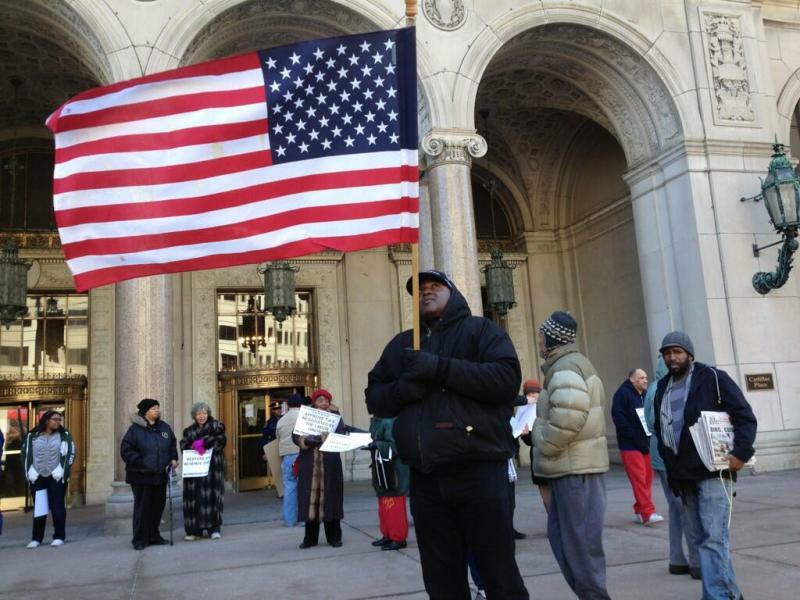 He's been silent for months on his re-election intentions as Detroit entered state oversight. Gov. Rick Snyder in March named bankruptcy attorney Kevyn Orr as Detroit's emergency manager. Bing says he's working closely with Orr, who must approve all financial decisions. The 69-year-old Bing was elected mayor in May 2009 to complete the remaining months of disgraced ex-mayor Kwame Kilpatrick's second term. Voters re-elected elected Bing that November. He inherited a budget deficit that now stands at $327 million. Detroiters can expect increased fees and reduced services—and the city’s deficit will still keep growing. At least that’s the scenario Mayor Dave Bing outlines in his proposed budget for the 2013-14 fiscal year. This proposal actually cuts much less from the budget—about $36 million—than the prior year. It focuses on more or less stabilizing “essential city services,” like public safety and transportation. Detroit Mayor Dave Bing will be at Saturday night’s Michigan-Syracuse basketball game in Atlanta. He will be rooting against the Wolverines. Dave Bing is a Syracuse graduate. In fact he played on the same basketball team as current Orange coach Jim Boeheim. An Emergency Manager for the state’s largest city: It’s big. It’s complicated. Success would be sweet, but it’s certainly not guaranteed. 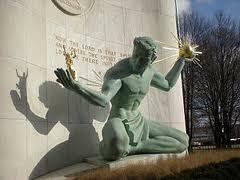 You could say Governor Rick Snyder now owns the city of Detroit, or at least its problems. And yet, his fate - his political fate, the fate of his aspiration to be the governor who finally fixes Detroit - is now in the hands of someone else: Kevyn Orr. Orr was named Emergency Manager yesterday afternoon in Detroit. 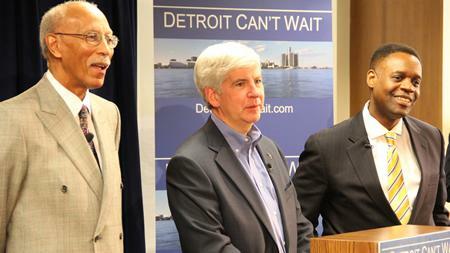 Orr’s success or failure will be Rick Snyder’s success or failure. There’s already been a lot of talk about what this means for Rick Snyder’s future as he gets ready to run for reelection next year. And opinions are mixed. One take: The governor looks assertive and he’s taking action, which helps him regardless of the result. The other side: He’s taking a big risk and can be tagged as a failure if Detroit isn’t showing some real improvement by next spring or summer. Here’s what’s difficult about any analysis of this situation: Ceteris paribus. It’s a common Latin phrase that economists use. It means “all things being equal.” And any analysis of any individual situation has to assume there’s some stability in the circumstances surrounding it. And in politics that’s not the case. Ever. There are always moving parts that are forcing other moving parts into new directions. It's the largest state takeover of a city in U.S. history. 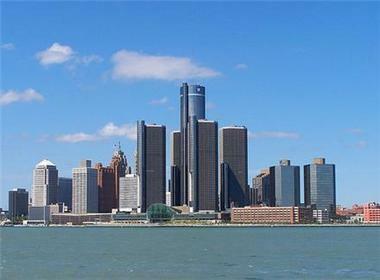 The city of Detroit will have a state-appointed emergency manager running things. 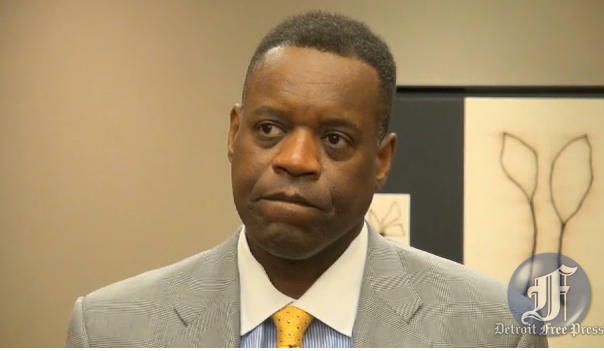 Kevyn Orr, a Washington D.C. lawyer and restructuring expert, will start his job on March 25th. With $14.9 billion in long-term liabilities and a $327 million near term deficit, Orr will have his work cut out for him. We updated this post as the news broke today. Scroll down and read up for a look at how things unfolded. DETROIT (AP) - Gov. Rick Snyder will announce his final determination Thursday on a review of Detroit's finances - a move that could include the appointment of an emergency manager for the city. That announcement is scheduled for 2 p.m. in Detroit, an hour before a state board responsible for hiring emergency managers for distressed Michigan cities and public school districts is to hold a special meeting in Lansing. Snyder has said an emergency manager selection for Detroit has to go before the Local Emergency Financial Assistance Loan Board. WXYZ-TV reports two vehicles blocked traffic on eastbound I-94 this morning near the Lodge Freeway in Detroit. Michigan State Police say the vehicles stopped traffic as a protest against the impending emergency manager appointment in Detroit. Two vehicles involved in what Michigan State Police are calling a protest brought traffic to a halt on EB I-94 near the Lodge Freeway in Detroit Monday morning. Police were able to pull the protestors over and write them citations. 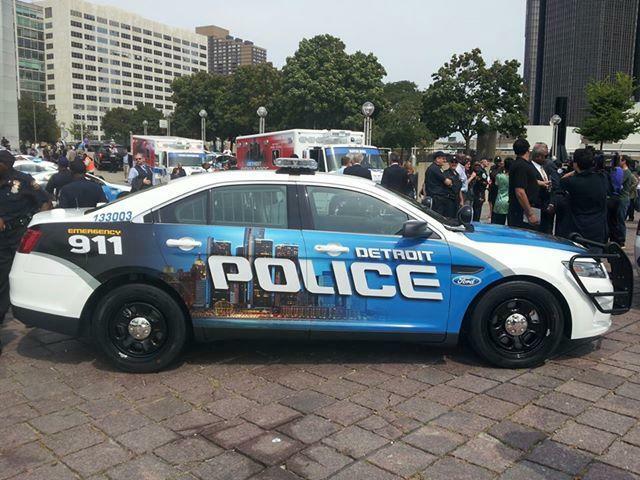 The vehicles had signs on them, one reading "Democracy" and another reading "Detroit emergency manager." 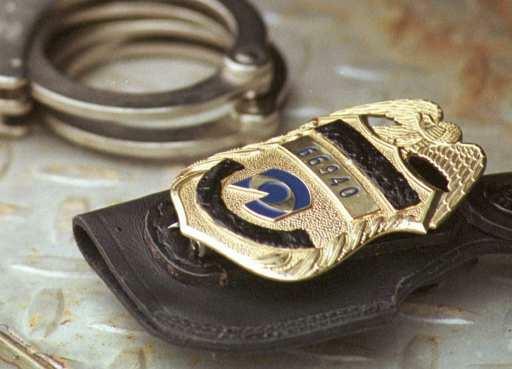 They are upset over Governor Rick Snyder declaring the city of Detroit is in the midst of a financial emergency and the search for an emergency financial manager. They report this isn't the first time protestors have backed up traffic. On Wednesday, a handful of protestors slowed traffic on southbound Interstate 75 near Interstate 94 in Detroit. Traffic also was backed up on northbound I-75. The city is appealing the state's decision that the city is in a 'financial emergency' and that city leaders have no plan to address the problem. A hearing over the matter is scheduled for tomorrow.